We hear a lot about other gorgeous planets like Saturn or Jupiter and we appreciate the Sun but never hear too much about it. What is the Sun exactly? The Sun is a beautiful ball of hydrogen and helium gas that burns bright about 150 million km from our pale blue dot called Earth. 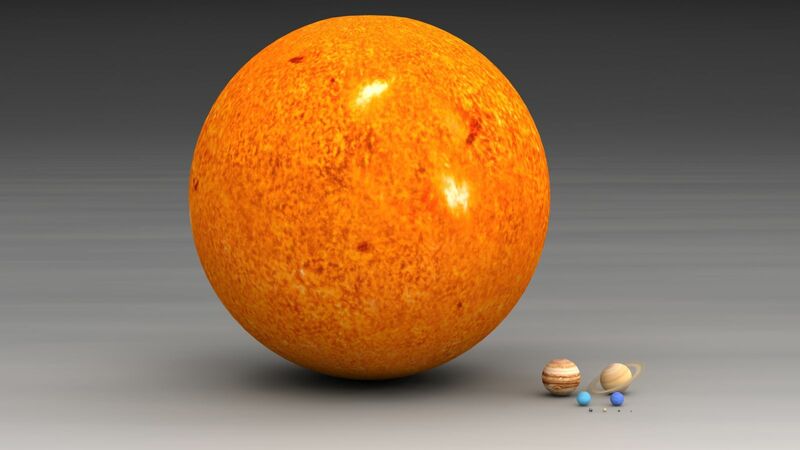 The size alone of the Sun is astounding even though in the grand scheme of things it’s just an average little guy. The radius of the Sun is 695,800 km which could fit our Earth about 109 times across! Okay so depending on who you are 28 times may not seem like a lot at first but it’s always about perspective when it comes to comprehending the universe. The Sun is a monster and if we were able to stand on the surface of the Sun the gravity alone would be immense on our fragile bodies. For the sake of a hypothetical situation let’s pretend we are built like a superhero and we can stand on the Sun and withstand the force. 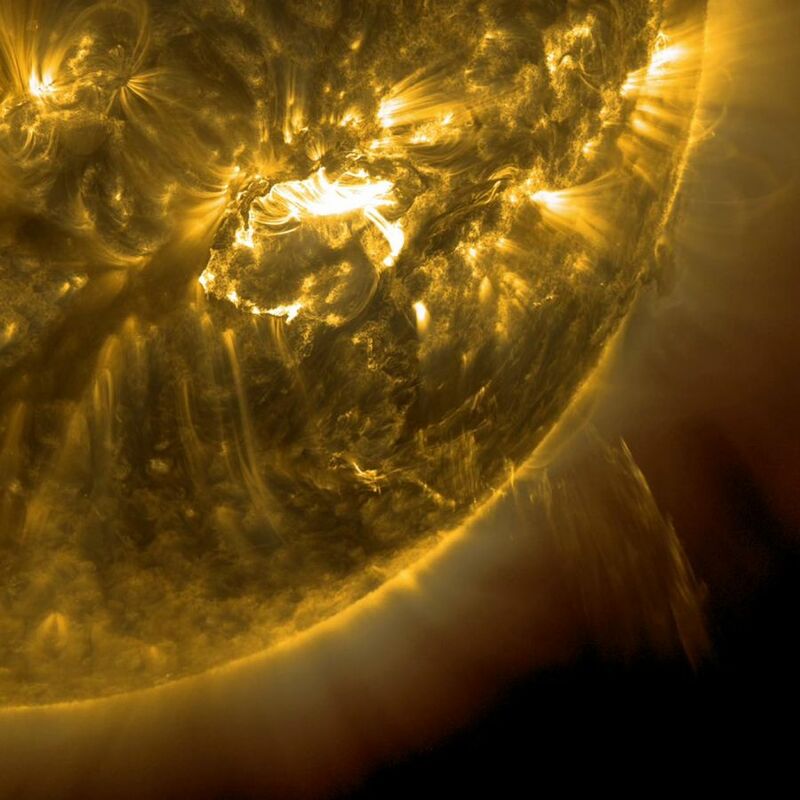 How much would we weigh on the sun? Well if you were 100 lb on Earth then on the Sun you would weigh 2707.2 lb! Yeah that is right you would weigh way over 1 ton! If you’re interested you can check out this awesome calculator by Exploratorium and see what your weight would be like on other planets and moons in our solar system. Everyday the Sun shines its brilliance upon us and most of us probably had no idea that it started its journey thousands of years ago. How is this possible? 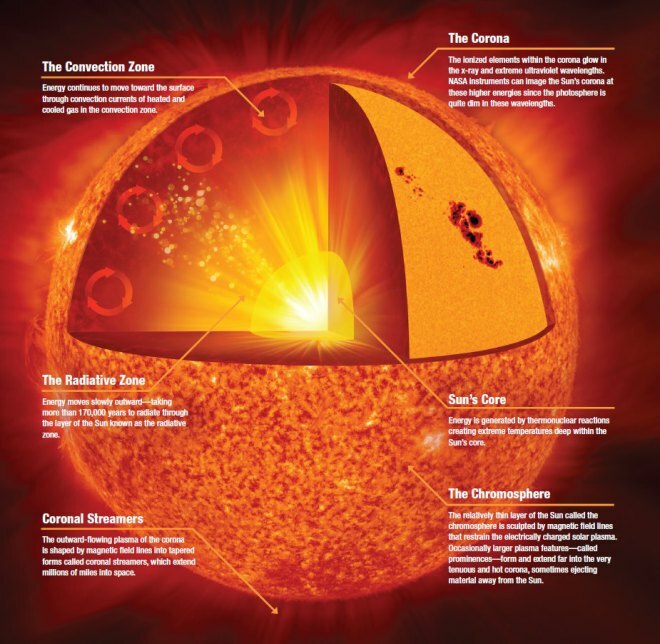 Well inside the Sun photons (light particles) are bouncing around at intense speeds since the high temperatures within the Sun range from 27 million degrees Fahrenheit (F) to 9,900 degrees F. The photon also has some tough barriers to go through. To paint the picture a little more clearly think about shining light on a rock. What happens is that the rock absorbs the photons and of course doesn’t go through it like it would through glass. Now what people don’t realize is the Sun is opaque, especially at the center. So the photons have a better medium to travel through than say going through a rock. The light is transmitted a short amount of distance through this environment before it gets absorbed then re-emitted in a random direction. This process happens through each layer of the Sun. The photons start at the Sun’s core then the radiative zone and finally randomly exits the Sun after thousands of years (or even millions!). From that point it travels at the speed of light and takes about 8 minutes to reach our Earth. That my friend is the journey of a photon from the Sun to our Earth in a nutshell. The sun produces an enormous amount of energy per second. It’s actually 3.8 x 1026 joules per second which in perspective the entire planet Earth consumes only 1/10,000 of that for its total energy consumption. How about how much energy or mass does our Earth receive from the Sun? Well it receives about 5 lb per second. At the very least this gives you a little more perspective on the distance from the Earth to the Sun. We all have to remind ourselves that we wouldn’t even be here without this big beast that was created as a result of hydrogen gas and helium gas forming together and creating this star. 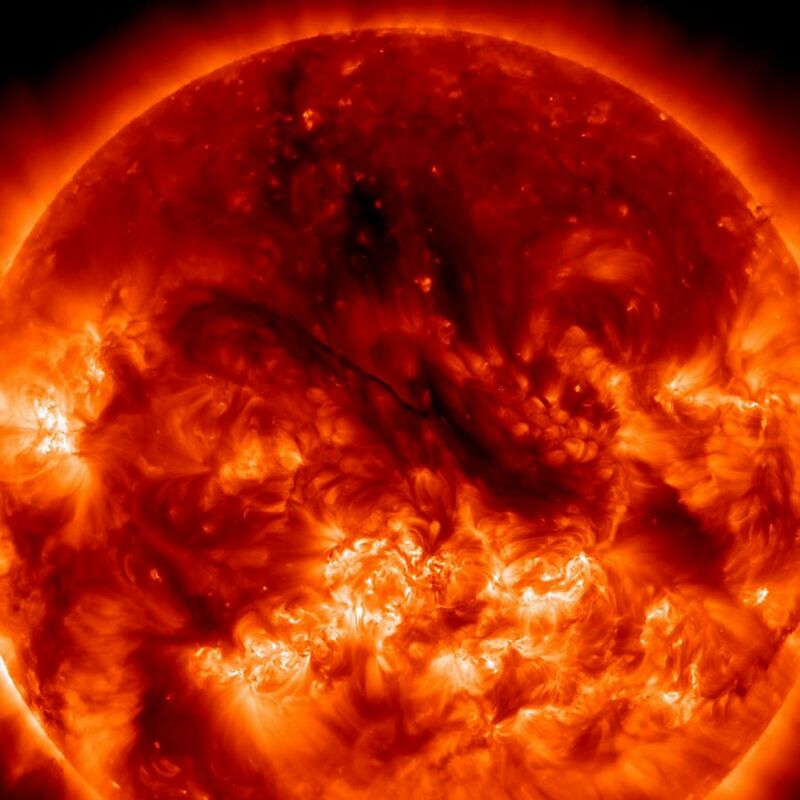 The Sun is 3/4 hydrogen and the rest is mostly helium. 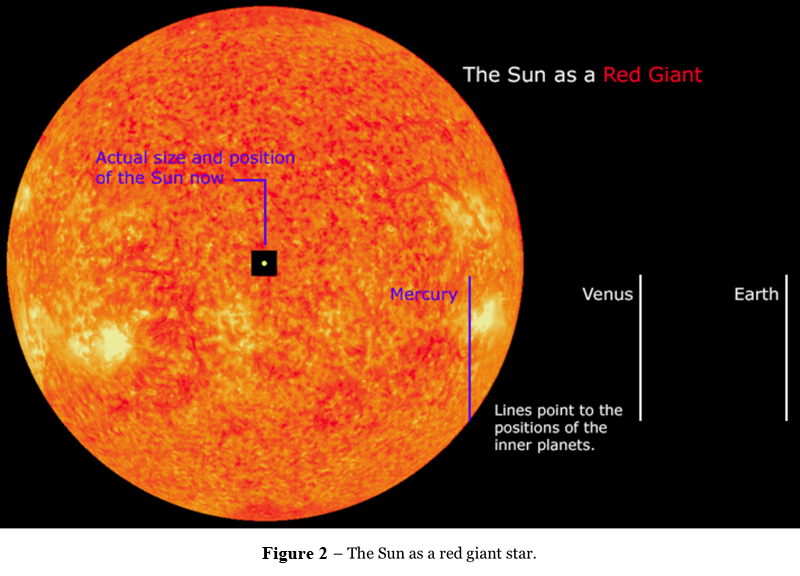 The rest of the planets and masses in the Solar System dwarfs in comparison to the Sun. It’s still terrifying to see how much bigger other stars are and dwarf even our own Sun! In 5 billion years the Sun will exhaust its hydrogen core and will start fusing helium and continue through the stellar death process. The core will contract at first and then start heating up and start burning a hydrogen shell outside the helium core. It will then ascend the Red Giant Branch stage. It will do two things as a red giant 1) Have a dense core that is the size of a few Earth radii and temperature of 50 million K. 2) A tenuous envelope that will have a radius of 150 million km with a temperature of 3500 K. (3226 C). It will enlarge itself past the orbit of Mercury and engulf both Venus and the Earth. However, once it exhausts every last bit of fuel in itself it will finally turn into a white dwarf star which will be as large as our Earth. BONUS Fact: The Color of the Sun is Actually Green! Often times we think the color of the Sun is yellow, orange, or red. However, this is a large misconception and the Sun is essentially all the colors mixed in together which would give us white. 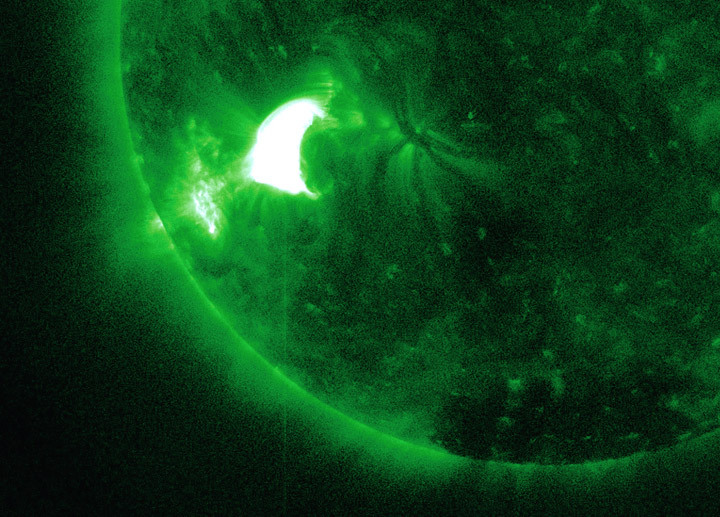 A prime example is looking at the Sun from space. 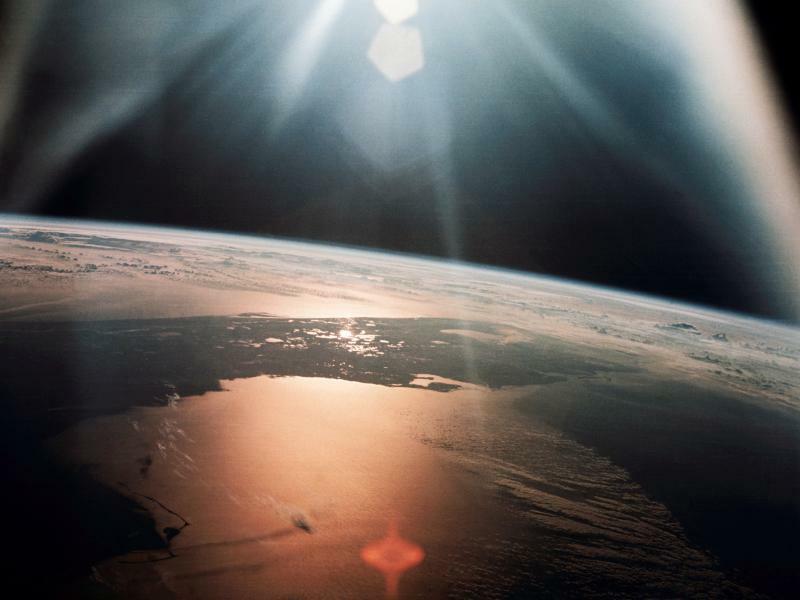 In any photo taken from space you’ll see the Sun shines vibrantly white. Now how is the Sun green if it looks white from space? 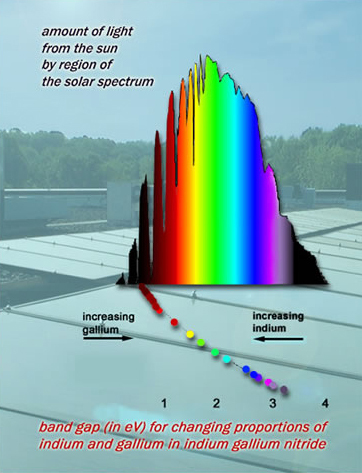 Well some believe that the Sun’s output in visible light peaks in the yellow but actually it peaks in the green! Well hope you learned something new today and if you already knew all of these facts then please leave any new ones in the comments below. Also thanks to Chris Powell @SeaPeas for pointing out the bonus fact! Excellent. Very well explained. Learn’t quite a few things. Thank you! Thanks for a awesome knowledgefull post. Thanks for the article – I had no idea the light peaked in the green! One additional interesting fact that I learned recently is that the temperature of the center of the Earth (6000 degrees celsius) is about 9% higher than the surface of the Sun! Thanks! I love the fact you added there. I like your site as well.